Here at Invotra, we understand that for many organisations, controllability is key. Your intranet can very quickly become cluttered and difficult to use if the right tools are not available to you, this is where Distributed Publishing comes in. Distributed publishing creates a delegated publishing platform, allowing organisations and their publishing teams greater control over creating, editing and publishing content. 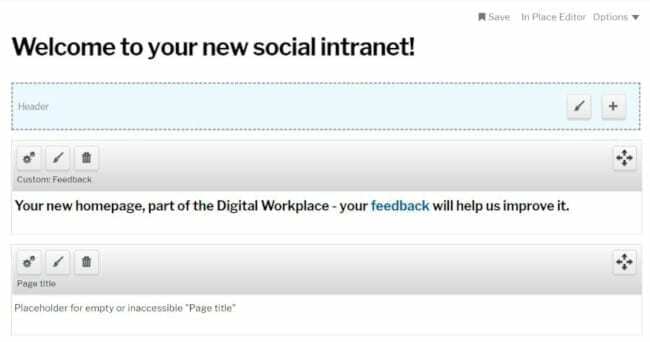 This feature is fantastic for all organisations, however, it is particularly useful for larger organisations that want to easily manage their users, the content that those users see and the layout of each area of their intranet. With a standardised workflow model for the creation, moderation and publishing of content, site section managers can easily maintain responsibility for the maintenance of their individual site sections without having to oversee each role in the process. 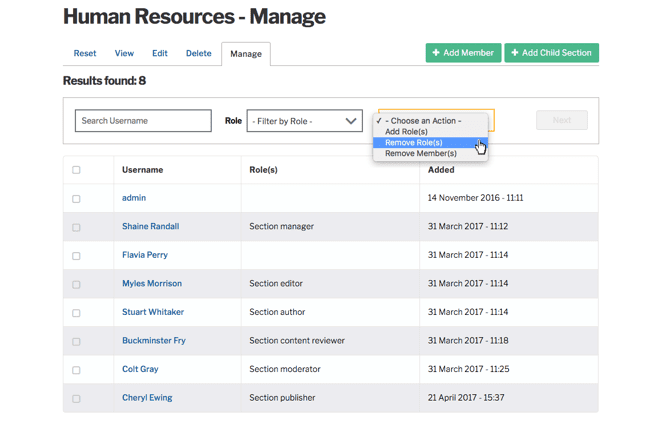 Site section managers are able to control membership within their own site sections and, within this, assign out user roles such as author, editor and publisher to disperse the publishing responsibilities. With access to the intuitive drop and drag In-Place Editor, site section managers can alter and make improvements to the layout of their own site section allowing each area of the intranet to easily follow brand guidelines and identity. Improved, individualised and manageable site section controls will allow organisations to ensure site sections are well populated, content is easy to access and information is easily kept up to date and relevant. Distributed publishing allows for vastly increased scalability within organisations and without compromising security. No user has access to any site section that they have not been given permission for, and permissions are fully retractable. So, anyone with the correct role will have the ability to re-assign, or fully remove the role of site section manager at any point. We at Invotra understand that you want the tools to deliver the governance and compliance that your organisation needs. This is why we feel that the ability for individual groups and site sections to have their own respective managers is one that is indispensable to any intranet manager.